The powerful, and nimble Cougar is one of the top preditors in Canada. Their behaviour is similar to that of a domestic cat when in predatory mode. They will often use the element of surprise to catch their prey by concealing itself and stalking then pouncing. 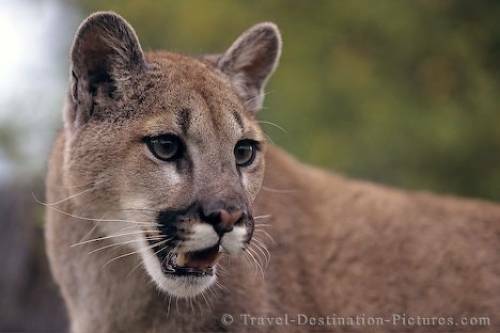 Picture of a Cougar on Vancouver Island in British Columbia, Canada.